Lich's Ascension is a legendary Endurance support card. It is part of the Houses of Morrowind expansion. 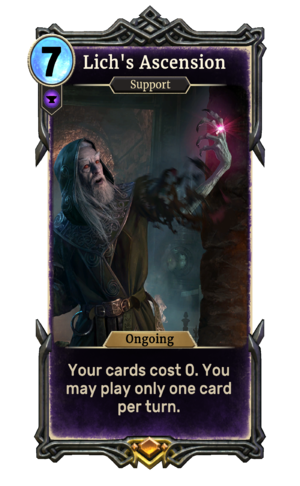 The card shows the transformation of Barilzar into a Lich by the Mazed Band.